Flexijoint PVC Series Waterstop is extruded from specially formulated and blended high grade PVC compound. It meets local " SIRIM " standard specification and international standard and widely applied in construction industry. Display shown is Flexijoint PVC Waterstop " Dumbell " Series. Standard packaging of 150mm (FXJ - DB150) and 230mm (FXJ - DB230) width available. Dams, Canals, Aquaducts, Large Reservoirs, Irrigation Projects, Bridges, Roads, Tunnels, Water Tanks, Swimming Pools, Water Filteration Plants, Sewerage Disposal System Neutralization Tanks, Basements, Foundation Floor Slabs, Retaining Walls, Effluent Treatment Plants, Thermal Power Stations, Shipyards, Docks, Cooling Towers. 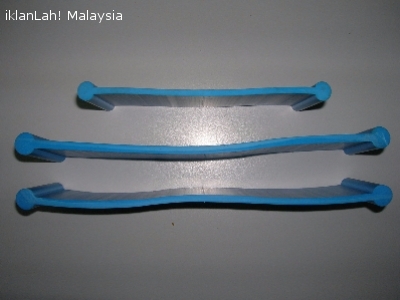 Flexijoint PVC Waterstop by Flexijoint Industries, market and sale by Flexijoint Industrial Marketing & Services, Kuala Lumpur, Malaysia.